Mick is also continuing to support a number of PhD students through to completion as part-time tutor. Mick's research interests were initially the history of health policy and community care, especially the role of public sector trade unions. He later became active in supporting community-led research in Coventry aimed at tackling poverty and inequality through the Coventry Partnership. Throughout his career he has worked collaboratively with those seeking to achieve greater social justice and equality. 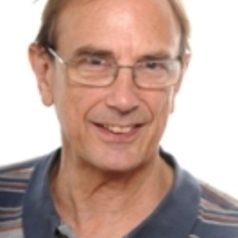 His publications include Working for Health: the History of COHSE, 1987, and Normality is Hard Work: Trade Unions and the Politics of Community Care, 1994, both published by Lawrence and Wishart. Management, Work and Welfare in Western Europe, co-authored with Steve Jeffreys, was published by Edward Elgar in 2000. The results of the SEQUAL project research were published in: Mick Carpenter, Stuart Speeden and Belinda Freda (eds) Beyond the Workfare State: Labour Markets, Equality and Human Rights, Policy Press in 2007. He edited the Community Development Journal from 2009-2015.